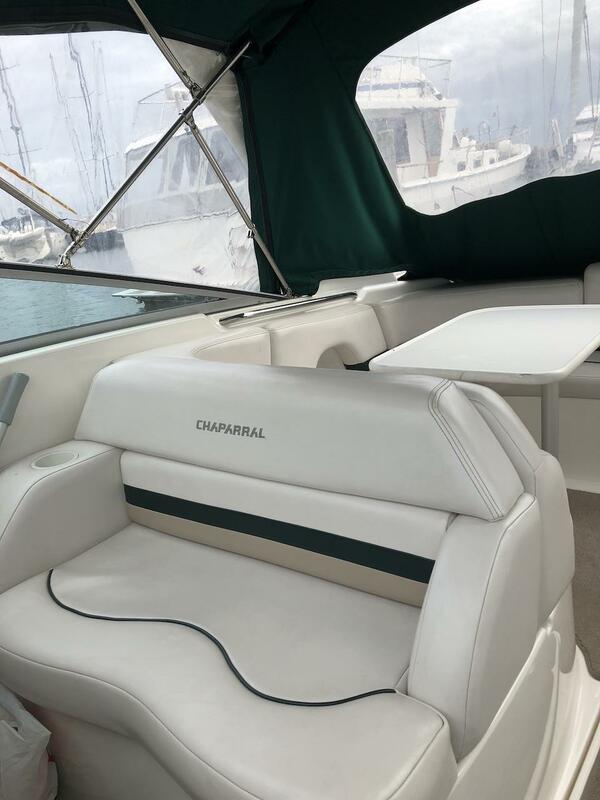 Chaparral 2835SS Limited Edition. 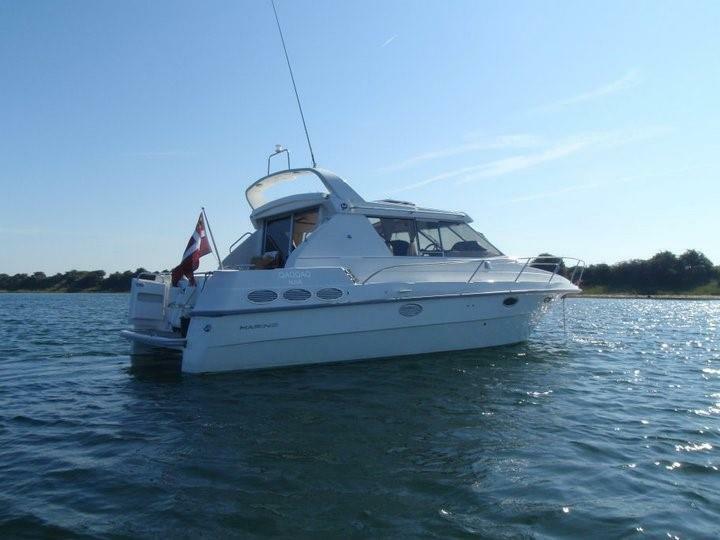 Incredibly well-maintained and well-maintained sports cruiser in a nice design with lots of comfort and equipment. 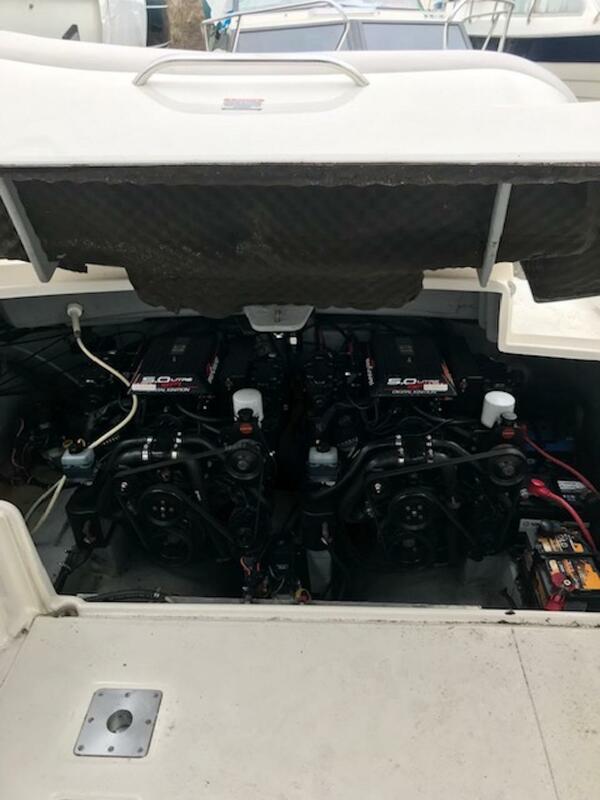 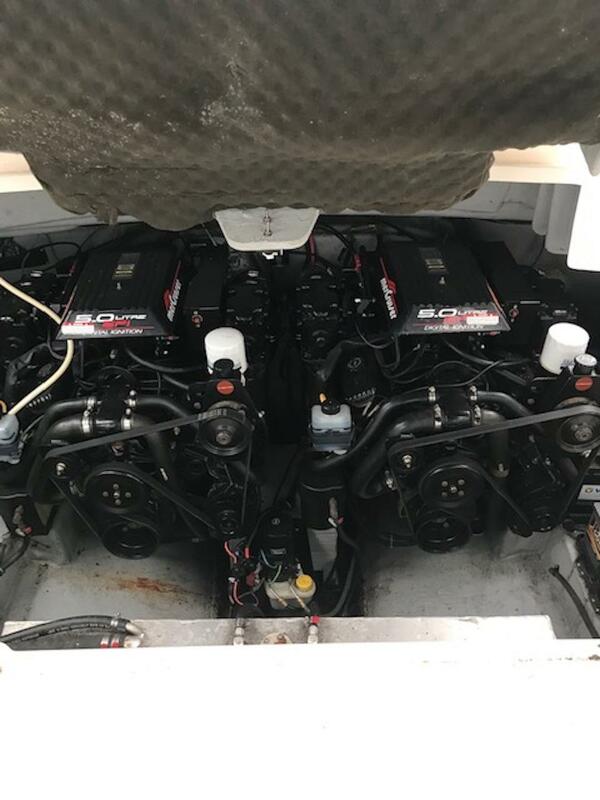 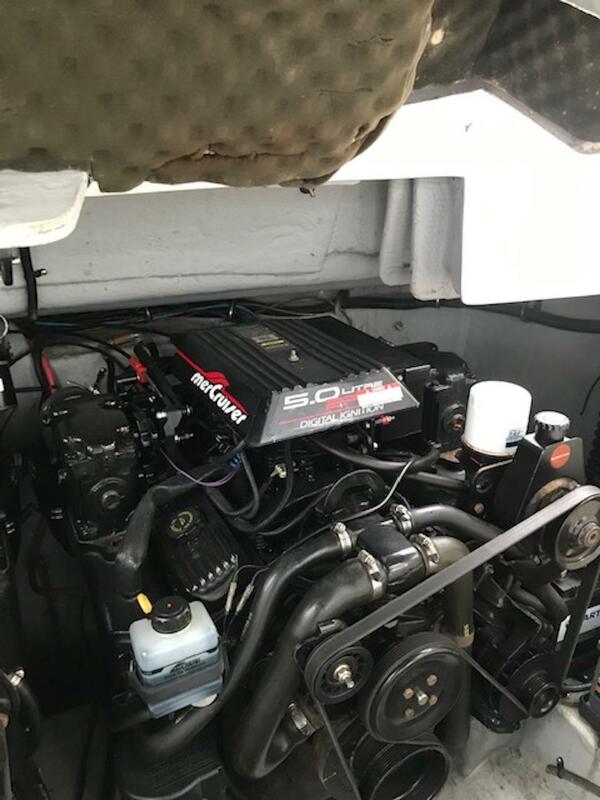 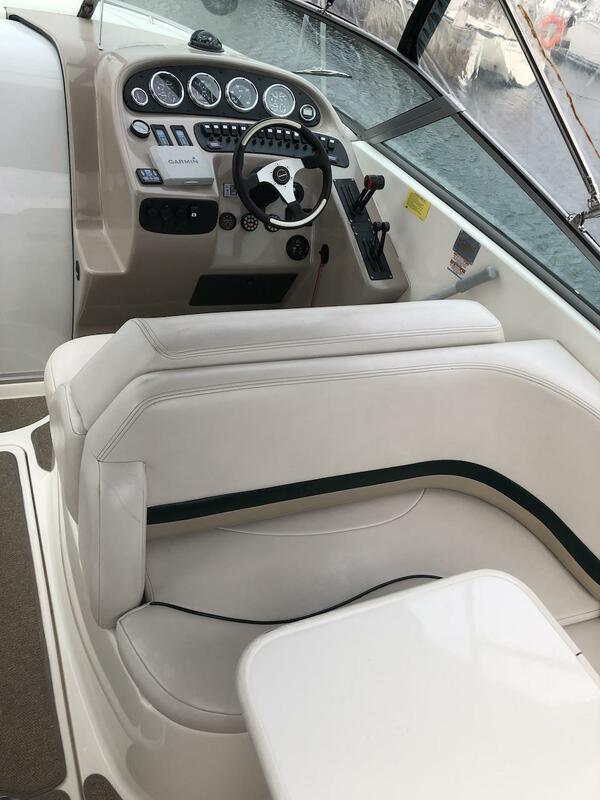 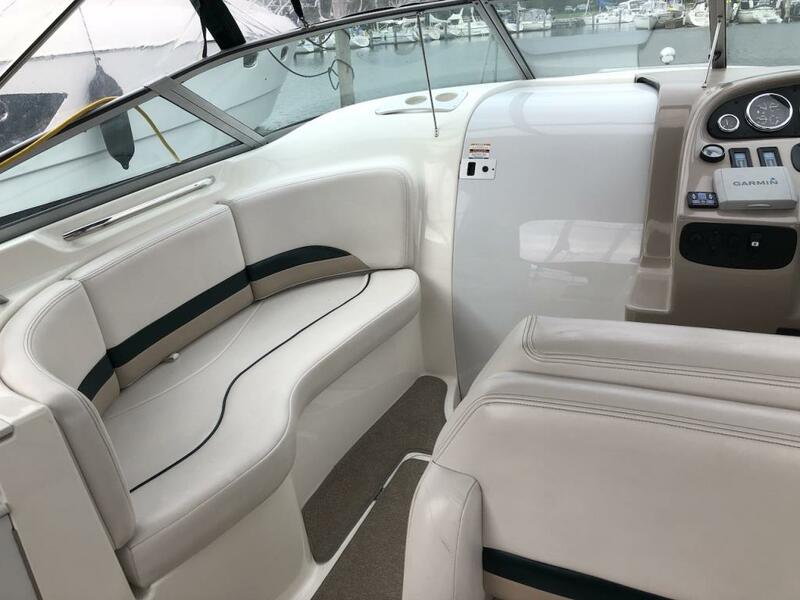 Special edition with Targa hanger and the entire 2 x 5.0 Liter V8 Mercruiser with every 260HP that gives a great surplus of effort for all kinds of water sports, but also for quieter and longer-lasting weekend trips. 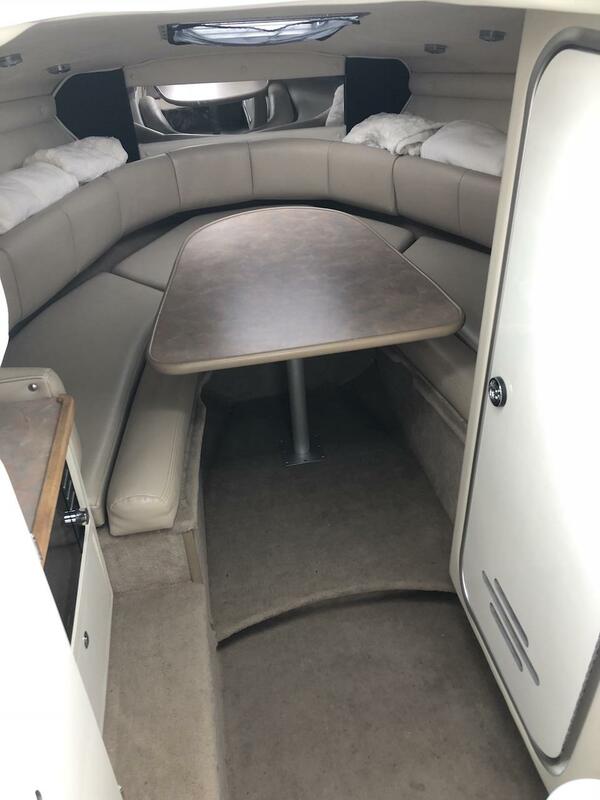 In the cockpit there is a large and spacious seating area around a table that is easily converted into a large sleeping area. 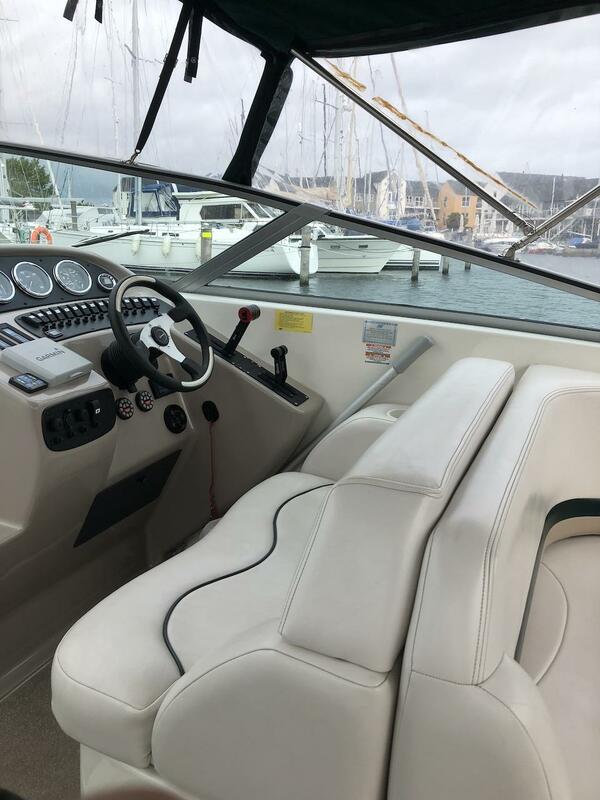 On the port side there is extra seating or sunbed next to the double captain's driver's seat. 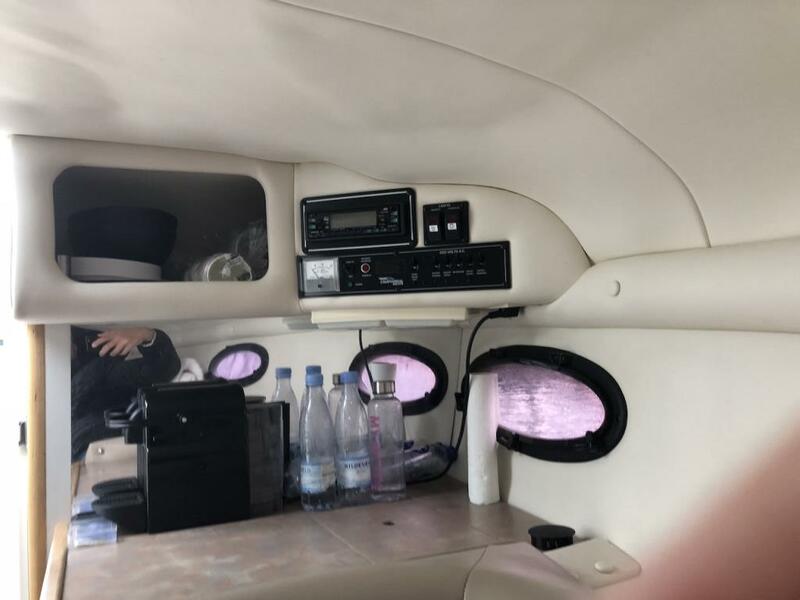 In addition, there is a refrigerator and table with washbasins and water, as well as ice-container and storage room. 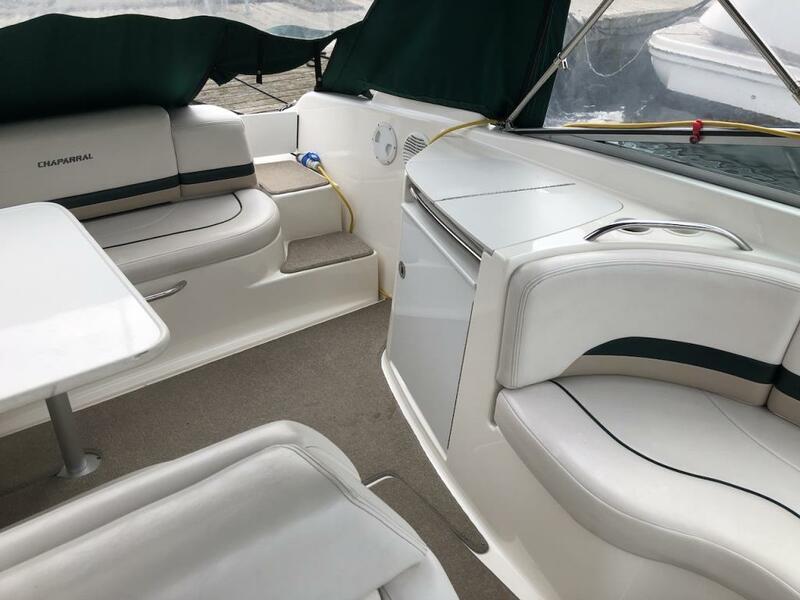 Under deck there is plenty of room for storing fenders and equipment for water sports etc. 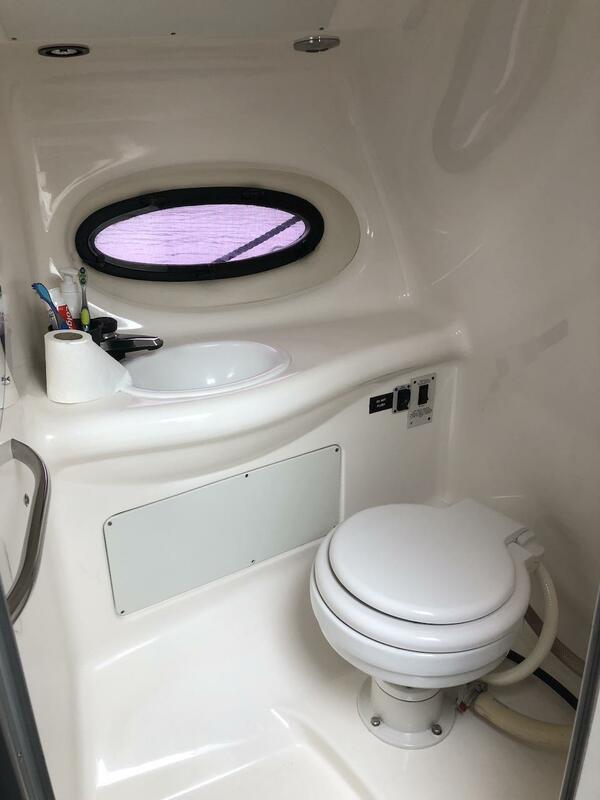 The cabin contains a separate toilet with sink and also good seating around a table, which with additional cushion, is easily converted into a large sleeping area for 2 people. 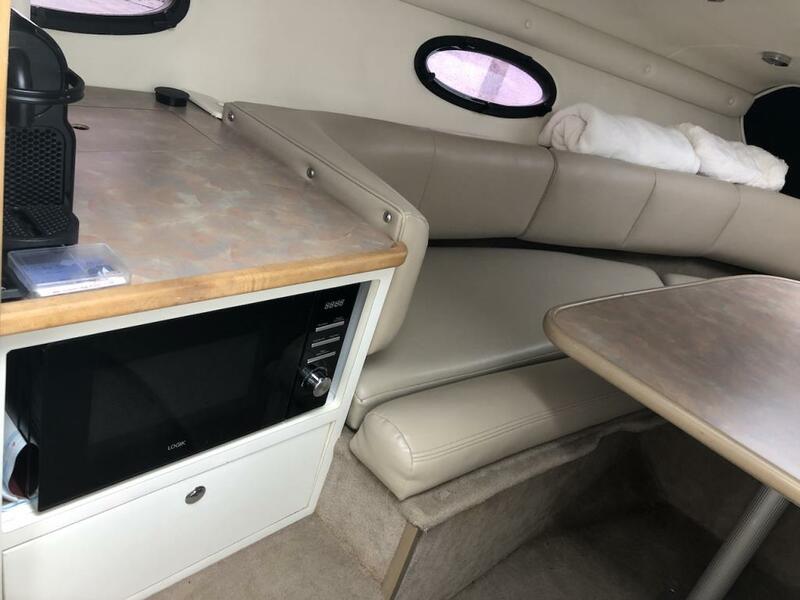 In addition, there is a microwave with table and cabinets and drawers, which makes it possible to cook and store both food and service. 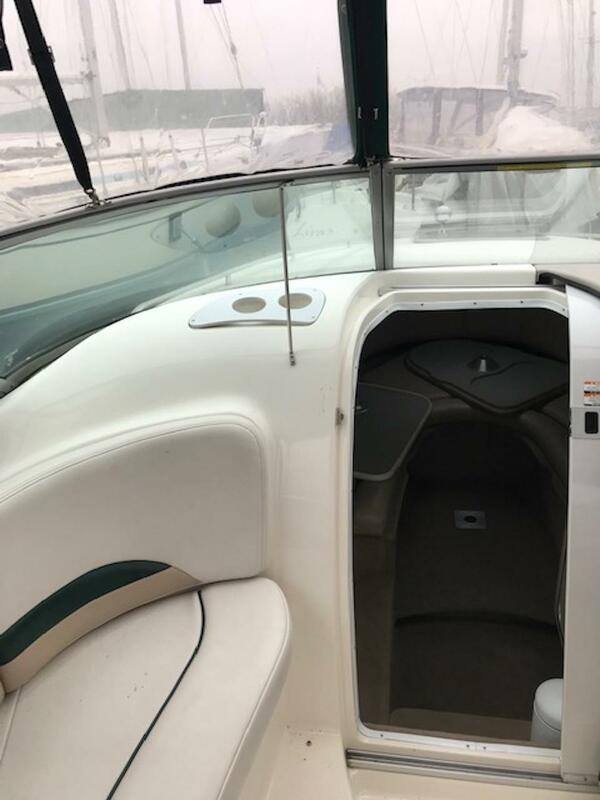 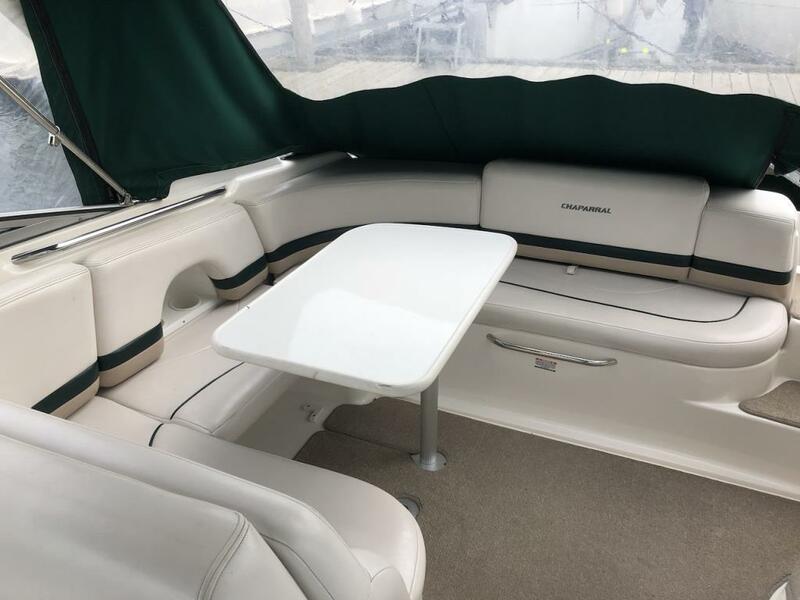 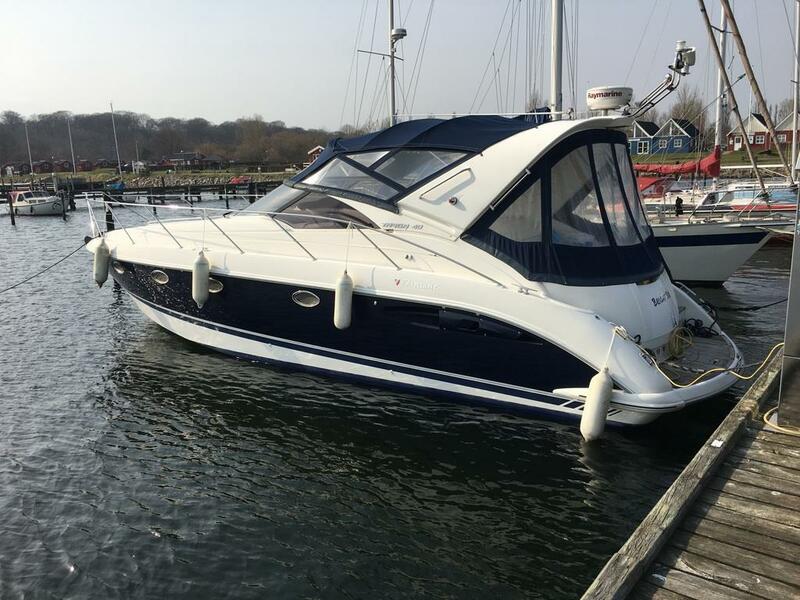 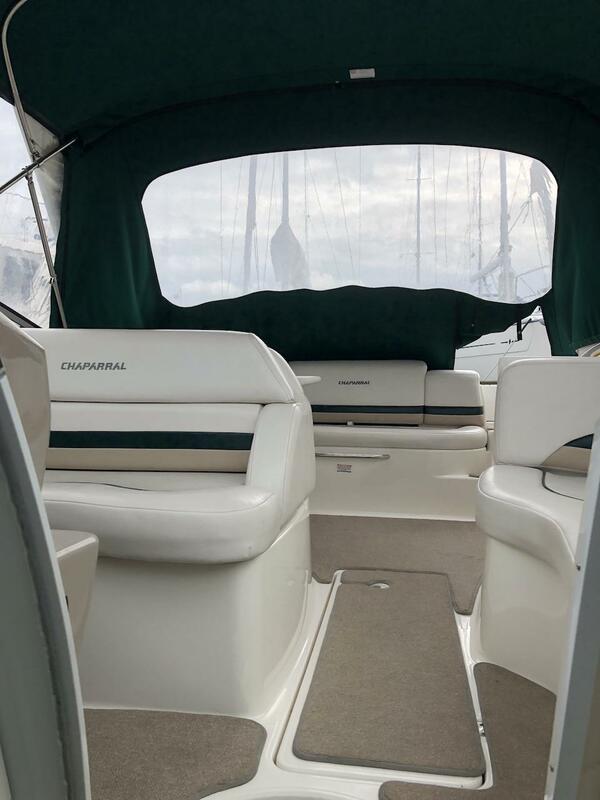 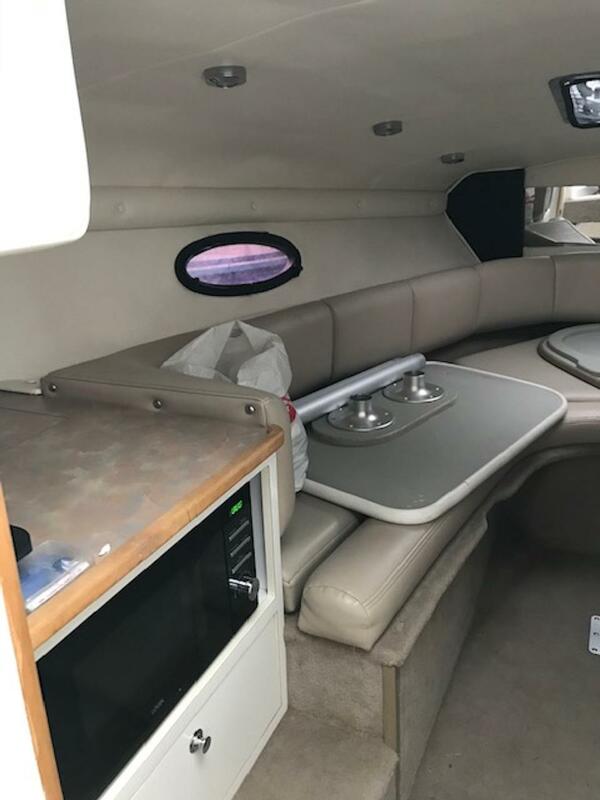 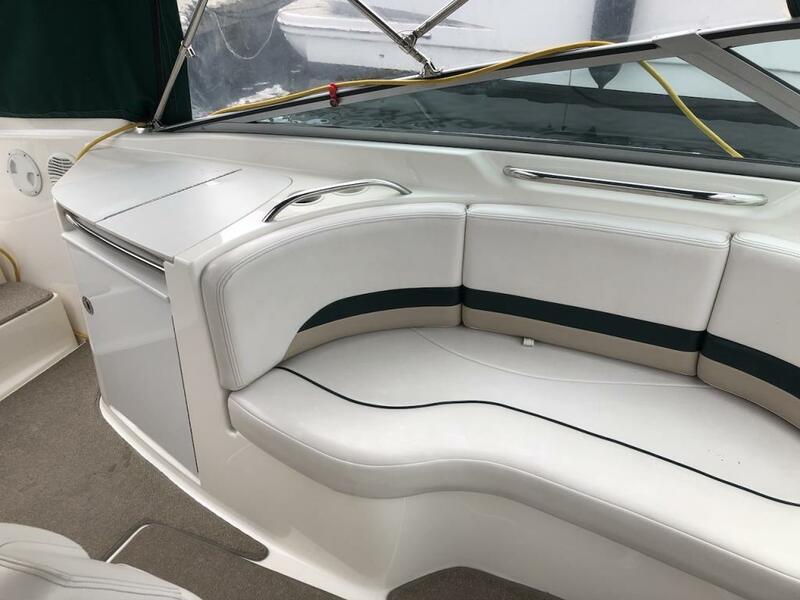 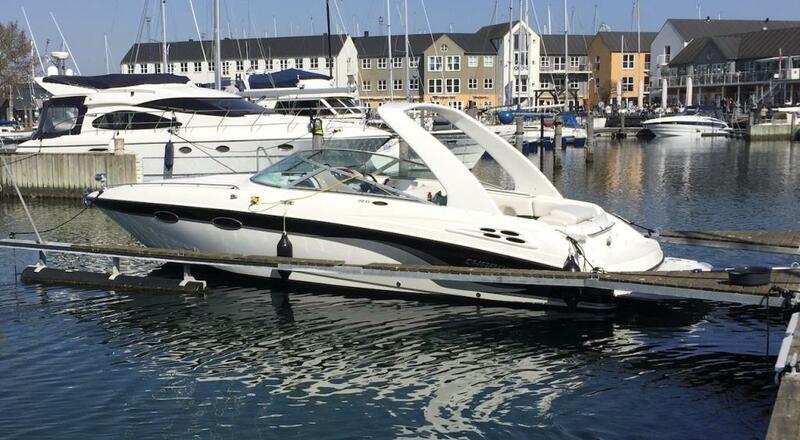 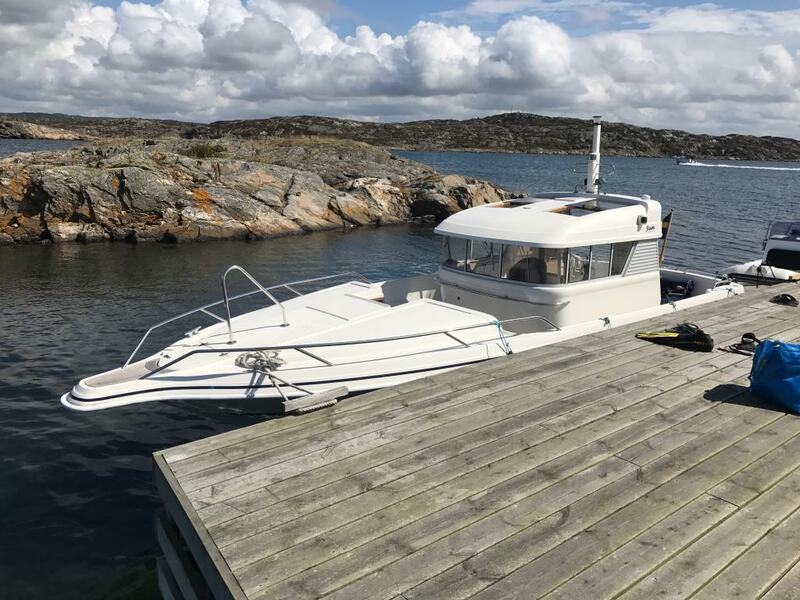 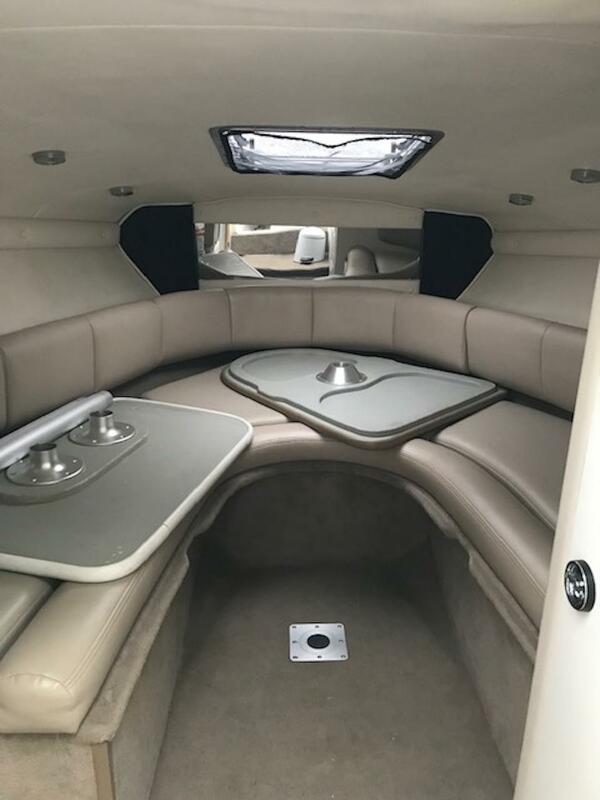 Of course, the boat is naturally equipped with electric access to the motors and at the rear is supplemented with an expanded bathing platform that makes access to boat and water easy and effortless. 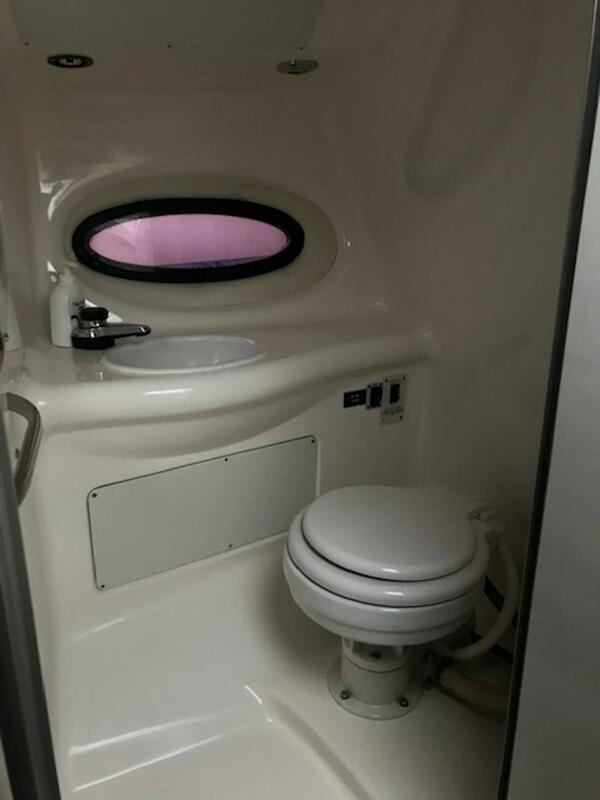 There is also a separate shower. 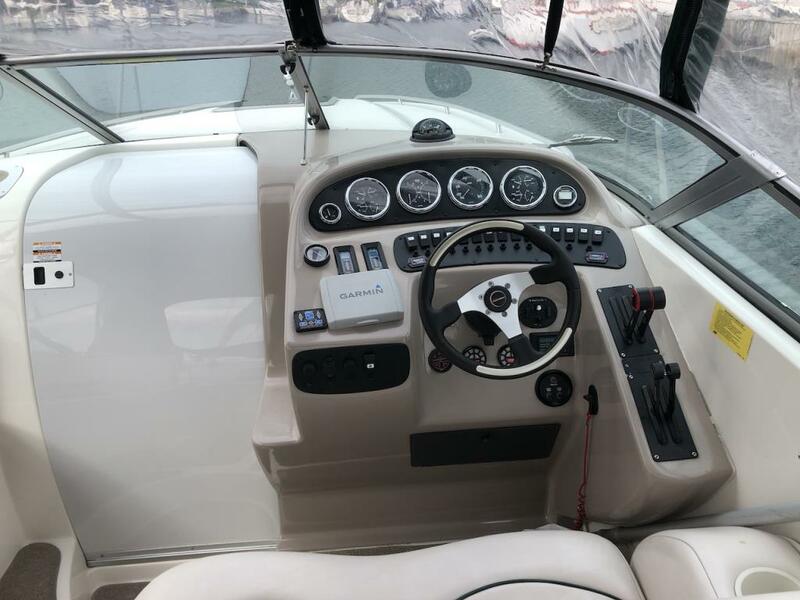 All in all, a modern luxury sports boat from Chaparral that produces some of the finest, which should therefore be seen and experienced. 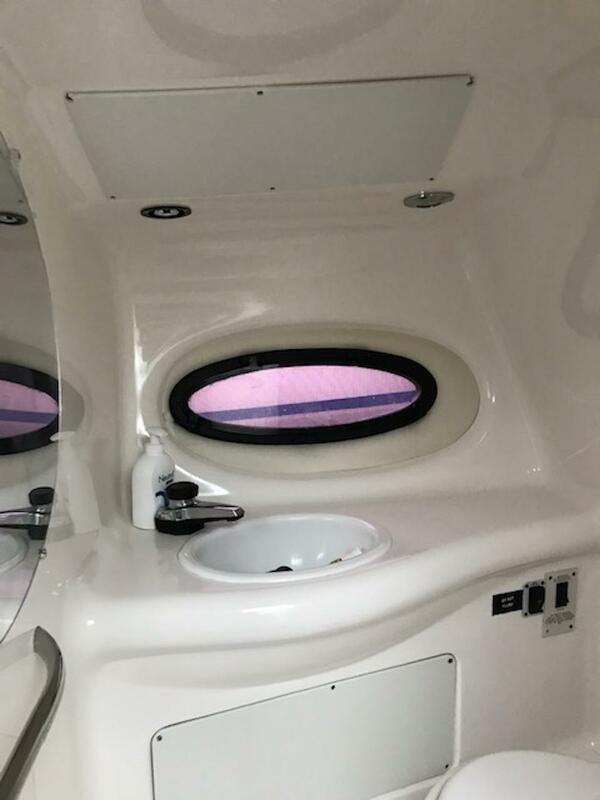 LED Night light in cabin - Blue underwater light - Keyless code lock - Bennett auto trim tabs / tapes - Fume detector - automatic fire extinguisher - 3 pcs. 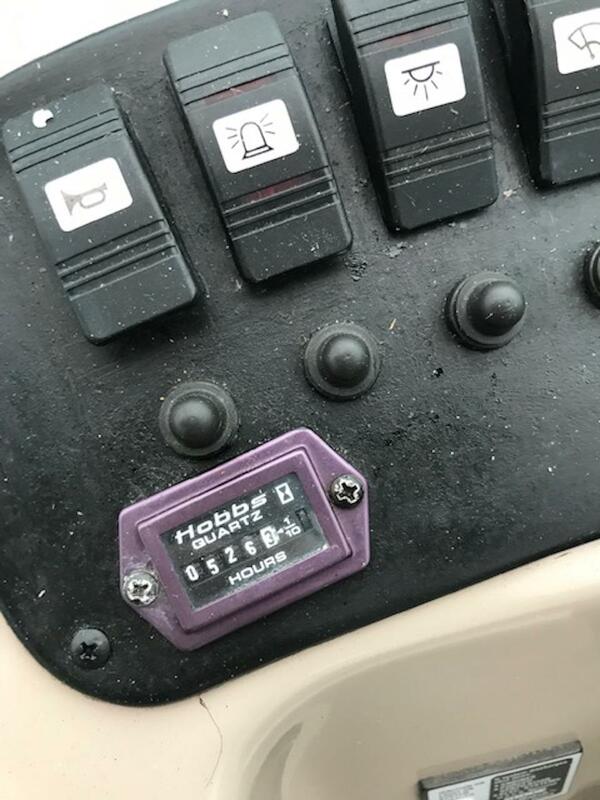 battery switch - and much more. 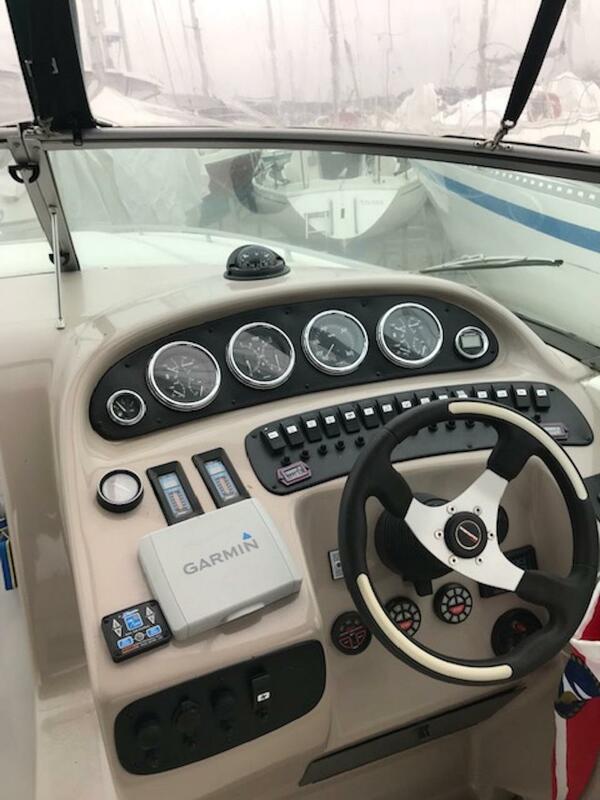 Drive: Z drive - 1 new and the second totally renovated and serviced in 2017 with 2 new high performance screws.